Tampa Bay’s inability/unwillingness to replace injured shortstop Hak-Ju Lee came back to bite the Bulls last night. When Thursday’s shortstop Mike Fontenot came out of the game after three innings with hamstring tightness the bench consisted of just catchers Craig Albernaz and Juan Apodaca, plus outfielder Rich Thompson. The Bulls only spare infielder was already in the game as DH, hot-hitting Vince Belnome. Just-returned manager Charlie Montoyo put Craig Albernaz in as catcher, moved Chris Gimenez to third base, and moved Cole Figueroa over to short. Hard to figure why the wait to fill Lee’s spot. Maybe something will happen before the Bulls head to Syracuse tomorrow. Nice to see Jim Paduch back in shape. Yes, he gave up some runs. But he also lasted four innings. Much, much better than his four-pitch outing a couple of days ago. Lastly, a small puzzle. When did Brandon Guyer turn into a runner instead of a hitter? He again had a bunt single last night and he stole a base (his third). 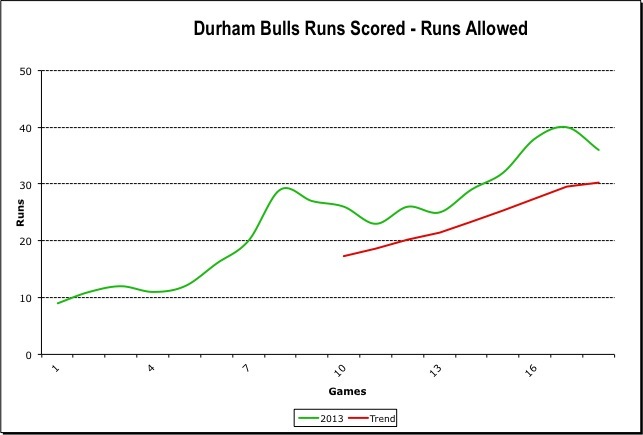 Back before his year on the DL his image in Durham (2011) was as a power hitter. Have I missed something? 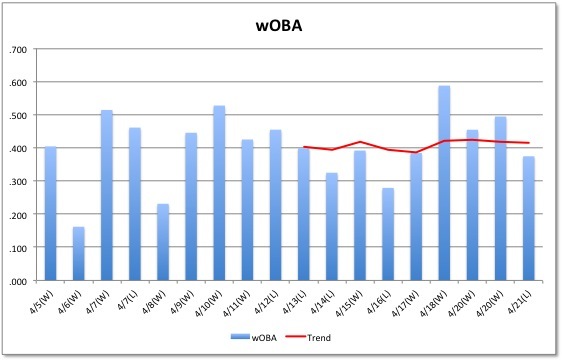 Maybe he's just going back to his 2009-2010 form where he stole 30 bases each year in AA and AAA. Hak-Ju Lee hit a home run. Pitchers got 12 Ks and no BB. Not quite good enough. Third loss in a row, and the Bulls outhit their opponents in every game. The last time the Bulls won a game in Knights Stadium was back in August of 2011. It, too, was a game won by late-inning heroics. Some interesting names in the story. It looks like the Bulls have just one pitcher from that team still on the roster (Alex Torres) and just one position player from this year (Leslie Anderson) came to bat in that game. The heroics last night came in the top of the 9th with Wil Myers coming up with a 2-out bases-loaded single that drove in two runs. His hit was followed by a Leslie Anderson single that drove in another run. That would be enough. Pitcher Mike Montgomery is off to Florida where he will be under the eye of the Tampa Bay trainer/rehabber crew. He remains on the 7-day DL. Catcher Juan Apodaca came off the DL and started the first game in Charlotte. This is the last year that the Knights will be playing in Knight Stadium. 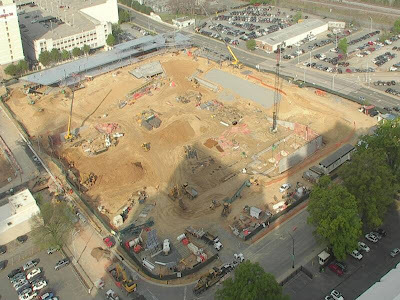 This is the website for their new place which will be in downtown Charlotte. 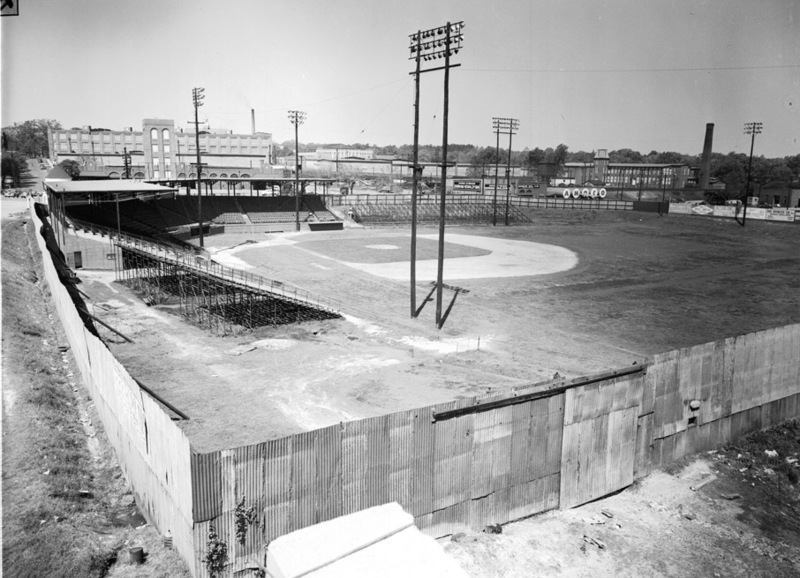 This will bring in an era where the Charlotte Knights will be playing baseball in … Charlotte! The Tides’ pitcher, former big-leaguer Freddy Garcia, is more than a bit irritating to fans. 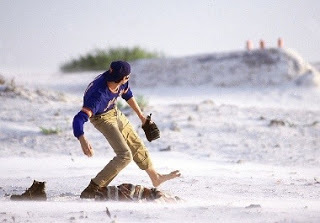 Here’s hoping he gets promoted to Baltimore before we have to put up with his shuffling and twitching and brushing his hand on the mound and strolling around the mound and calling the catcher out again. One of the pleasures of minor league ball is that umps usually don’t put up with that sort of posturing and expect pitchers to bring the ball to the plate in a reasonable amount of time. Nevertheless, even after giving up 10 hits over 5 innings, Garcia got the win and the Bulls lost. 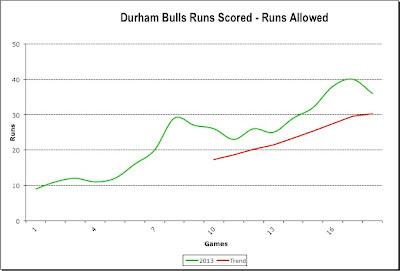 The Bulls had their chances, but couldn’t get the runs across. It didn’t help that J.D. Martin’s second spot start didn’t go well at all, including the home run by the first first batter. 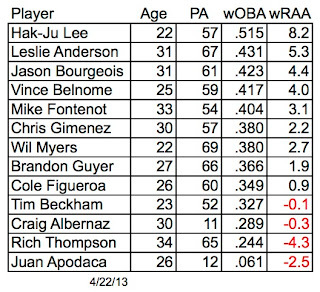 Hak-Ju Lee is becoming the Bull to watch. He made a spectacular fielding play in the 5th, although he also committed 2 errors (4 on year). At bat he had a double, two singles, two RBI, scored a run and stole his 5th base. A great home stand. We got to see some terrific pitching, solid hitting, and generally exciting baseball. If we are waiting for Wil Myers to blossom (he trails several Bulls in all hitting categories), everything we’ve been told ensures us that he will. Prior to the game Leslie Anderson was award the Al Lopez Award, an award given by the Tampa Bay Rays to the most outstanding rookie in spring training camp. What’s up with the stats sheets? Not useful. Charlotte is off to a slow start, but it looks like they are hitting well enough. Ah, April in central North Carolina. Sunny days are blessed with a thin golden haze drifting in lovely clouds creating an aureate glow in the waning sunlight. On the way to the ballpark an amber dustcloud curls through the air and gathers on the streets making miniature gilded drifts that swirl up and billow behind slow moving cars. Ah, a North Carolina spring when you eye seeks out the pine trees and notes the efflorescence of their stamens, bright yellow against the deep green. 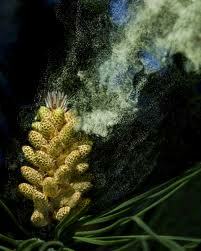 You know as long as they are visible, that pollen ain't goin' nowhere. 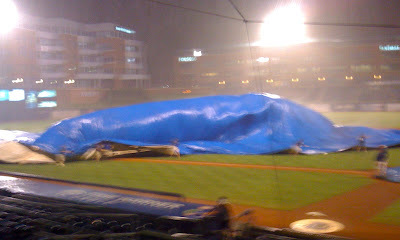 It’s just gonna keep on blowing through and covering every g-d surface, with a sticky, ugly mess. There's a downside to April in North Carolina. Ah, a North Carolina April where if you can be allergic to it, it's blooming at just about the same time as the pine pollen starts drifting down from pines. But, we have baseball in the golden glow! Oh, yeah. Great baseball in the haze. Really, you could see the haze and occasional billows of pollen being blown off the roof. For 7½ innings we were treated some some terrific pitching by both the Tides’ Jair Jurrjens and the Bulls’ Alex Colome. Colome was particularly sharp, not allowing even a hit until 5th inning and only one more in the 6th. I am very impressed with this guy. For his part Jurrjens did let in two runs, but he was assisted by a couple of nice plays by center fielder, and former Bull, Jason Pridie. 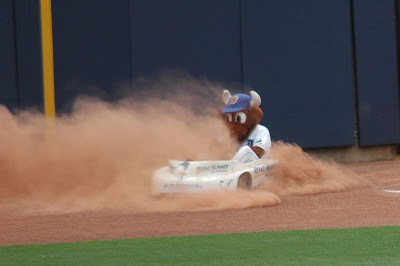 Although the Bulls threatened in the 6th, scoring a run and leaving the bases loaded, the game went into the bottom of the 7th with the Bulls ahead by only two runs. The first two batters, Fontenot and Belnome, went quietly. Then the bottom fell out for the Tides' Scott Proctor who was followed by former Bull Adam Russell. Nine more batters came to the plate before the inning was over. They included Fontenot, who got a double his second time around, and Belnome who unfortunately can claim credit for two outs in one inning. The rest of the team collected 2 walks, 3 singles, and 3 doubles to score 7 runs. Just before that blowout inning, Josh Leuke came in to close out the 8th with a K. After his long wait, he faced four more batters. One reached on an error. He struck out the other three earning him the oddity of the night, a "save" in an 9-0 game. We've been curious about this year's pitching rotation. J.D. Martin is scheduled to start tonight and while Martin has plenty of experience as a starting pitcher we thought he was brought in to be a long reliever. 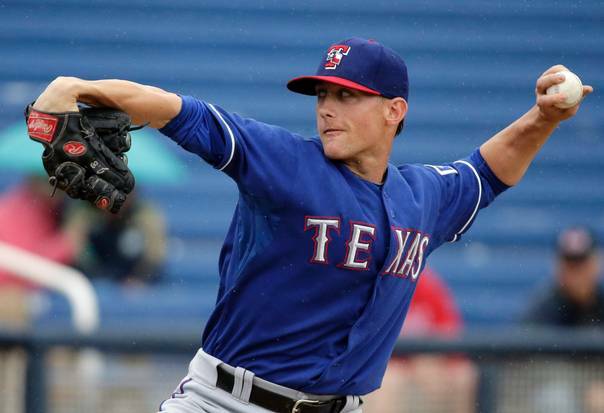 Turns out (according to Kinas on the radio and the Herald-Sun) that new guy Mike Montgomery has forearm tightness and may miss a couple of starts. The other new guy, catcher Juan Apodaca, is here and in uniform (#13). He's being carried on the disabled list, but that was him warming up pitchers last night. We saw Tim Beckham trip as he crossed first base Wednesday afternoon. The Herald-Sun is reporting that he is day-to-day. A big storm blew in last night. Maybe it will wash some of the pollen out of the air and off the pine trees. We can hope. Otherwise, sniffle, sniffle, sniffle, cough, cough, cough. 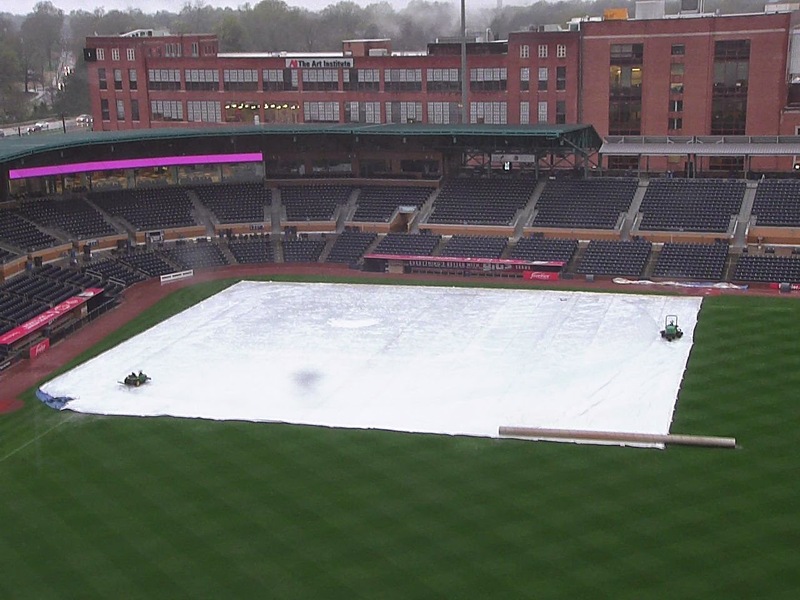 We have had some very uncomfortable April days at the DBAP, but yesterday wasn’t one of them. Perfect weather, interesting baseball, and a win. Just terrific. Leslie Anderson’s bat has some serious pop to it this year. Yesterday you could hear an especially loud “crack” on each of his two home runs (helped a bit by the fact that there was only 3,300 of us cheering). Anderson also showed a good glove at first. So things are keeping on track for Anderson who is beating on the Rays' door. He was the Bulls best hitter last year and he was recognized by the Rays as the top performer in this year’s spring training. Single, two home runs, a walk, 4 RBI on the day. Matching Anderson in RBI was outfielder Jason Bourgeois. He had three doubles and two walks, so he had just about as good a day at the plate as you can have. He also made a terrific throw from center field to Chris Gimenez at the plate in the 8th inning to catch a runner trying to score from second base. Bourgeois was signed by the Rays in the off-season to a minor league contract. He’s had considerable major league time, mostly with Houston in 2010 and 2011, which leads me to worry that he’s playing on one of those “opt-out” contracts. Hope not. He’s looking very good this year. Chris Archer worked hard yesterday. Jimmy Dupree over at the Herald-Sun got some good quotes about his outing from Charlie Montoyo and Archer himself. Good story. Check out link above. 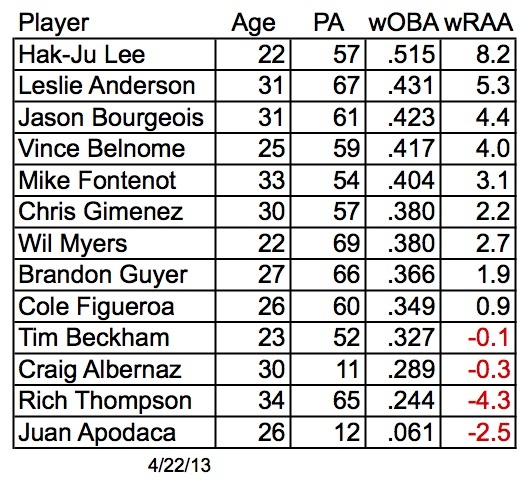 We are all in for a treat as we watch shortstop Hak-Ju Lee this year. If you are one of those who like to debate deep philosophical issues such as: what matters most, a strong arm or a quick release? Lee seems to fall within the quick release school. He is a treat to watch. He was also the key figure in a very unusual play yesterday. On first base after a bunt single, he took off on one of Jason Bourgeois’ doubles. Coming around third base he confronted Bulls third base coach Dan DeMent signaling him to stop. He touched DeMent in his scramble to get back to third and was called out. Charlie Montoyo, a bit tongue-in-cheek, commented for the Herald-Sun: “He’s got to stop grabbing the coaches when he goes by third base. It doesn’t work in this league — I don’t think in any league." DeMent, by the way, is a coach in the Rays system who works most often with the Class A Hudson Valley team. He’s in town to help out while Charlie Montoyo is in LA. The Rays have acquired a catcher, Juan Apodaca (stats). At least one blogger thinks he will end up in Durham. But he’s on the DL. How does that work? Bull Durham racing mascots getting some good press. Most Bulls fans know bits and pieces of Alex Montoyo’s story. Charlie Montoyo’s five year old son is about to undergo yet another open-heart surgery, his fourth in five years. Charlie is off to Los Angeles in a day or so and Dave Myers will be managing in his absence. See Harold Gutmann’s terrific story in yesterday’s Herald-Sun. If you missed the first inning, you pretty much missed it all last night. Brandon Guyer set all sorts of records with his two home runs and 5 RBIs in the inning as 12 Bulls came to bat to score 10 runs. But there were hints of more that auger well for 2013. Catcher Craig Albernaz, who is sure to get more playing time this year, had an RBI double in the inning and cracked two very authoritative-sounding, but caught, shots later in the game. Third baseman Cole Figueroa also had an RBI double and went on to pick up a single and a triple. 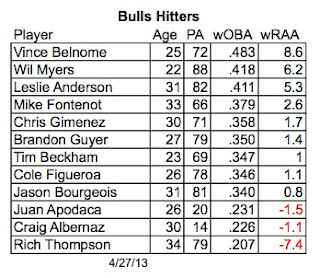 Four other Bulls got hits in the inning, one of the biggest in Bulls’ history. Not to be overlooked was Alexander Torres’ opening the game with 3Ks. He went on to have a very solid five innings. That raises our hopes regarding young Mr. Torres. Will Inman did just fine and Josh Lueke closed it out with some serious heat. Regular readers may remember a project organized by Sam Stephenson that put together photography and stories centered on the Bulls and the DBAP near the end of the 2011 season. He’s back with something that should be very interesting as he has put together a crew to record the full 2013 season. Here’s one story and here’s a link to their exceptionally well done web site. Once they get going you will want to add the RSS feed as a regular place to visit. Stephenson and writer Adam Sobsey were interviewed yesterday on WUNC radio. Worth a listen. On opening day I almost went into full-blown rant mode when Doc and Merle Watson’s version of “Take Me Out to the Ball Game” was not played for the 7th inning stretch. Pleased to report that they are back and in fine form. Great fun to watch/listen to current and former Bulls read lines from “Bull Durham” played as part of the evening between-innings work. Gotta find my 20th Anniversary hat. Should he hanging around the house somewhere. Adam Sobsey introduces the Bulls via Indy Week. As our regular readers know, here at WDBB we tend to highlight the quirks of the game or stuff that catches our eye. We figure most fans have already seen or listened to the game or possibly followed one of the links. So we all sort of know what happened. That perspective makes it really fun to write about an opening day and even more fun to point out what a bizarre end it was. I don’t know how to research this, but a baseball game with no earned runs by either team has got to be an oddity. 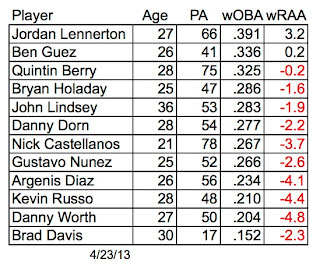 If no earned runs, then no RBIs either. Very strange. All the scoring action took place in the 9th inning after a superb 6 ⅔ inning outing by Jake Odorizzi and an impressive four outs in eight pitches by Adam Liberatore (see, I said I look for the quirks of the game). But then in the 9th Josh Leuke walked a batter and followed that with a fielding error that put runners on first and second. Another error, this one by shortstop Hak-Ju Lee let a run in. 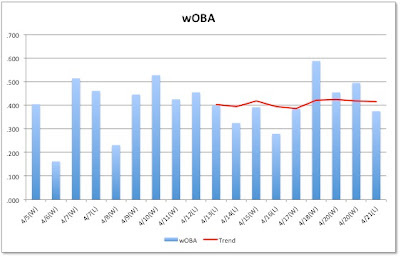 In the end, however, conventional baseball wisdom lost the game for the Braves. In the 9th Wil Myers led off with a single and the Braves went into a “no-doubles” defense (fielders back near the warning tracks) for reasons admirably explained by color commentator Scot Pose (By the way, great to have fellow University of Arkansas Alum Pose back in the radio booth this season. He brings a lot to the game.) 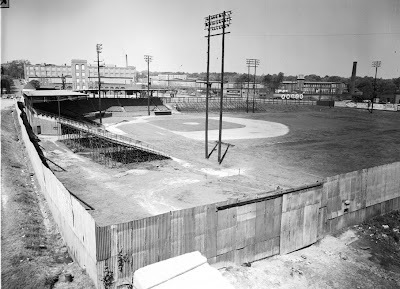 Problems arose, however, when that alignment allowed a weak Leslie Anderson liner to drop in front of the Braves center fielder and Myers was able to reach third base. Chris Giminez drew a walk and, again, conventional wisdom called for the infield to be drawn in. That can often work. This time it didn’t. The Braves shortstop couldn’t handle a Brandon Guyer grounder and two runs scored. Meanwhile, the weather could not have been better. 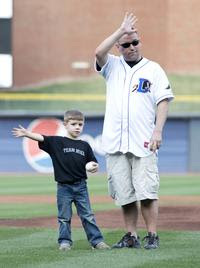 We experienced one of our proudest moments watching former Durham Bulls pitcher Trooper Mike Potts and his son throw the first pitch and the standing ovation that greeted them. The men’s choir’s rendition of the National Anthem was spot on. The baseball was crisp. I’m gonna withhold judgment on the Bull Durham doll race for the moment. It was kind cute, though. And it got some attention outside our area. The “little bulls” parade is still my favorite. Solid set of videos at WRAL site. A comment to another post points out that the starting rotation seemed to be disrupted by the postponed game, lengthy game, double header, etc. down in Norfolk, not sure why that should be. I'm sure if we could ask Charlie Montoyo we could get a better answer but here's my guess. All five starters this year (Archer, Colome, Montgomery, Odorizzi, and Torres) are on the Rays 40-man. In addition to being on reduced pitch counts for the early part of the season (75-85) Tampa Bay wants to have at least one of those guys available for a spot start at any moment. That means putting them on a schedule and keeping them on a schedule. But that's absolutely pure speculation. If there's another reason that makes more sense please share it with us. As we wait for the first home game to start we hear that the Bulls bullpen will be getting some help to fill the hole opened when Brandon Gomes was called up to the Rays. Adam Liberatore, a 26 year old left-handed reliever, is coming up from the Montgomery Biscuits. He appeared in 16 games for the Bulls last year with a stellar 1.29 ERA over 21 innings. Happy to have him. Stats. On the other hand, Robinson Chirinos, a catcher we saw the year before last, and liked a lot, has been traded to the Texas Rangers. Chirinos and former Bull Steven Vogt had been designated for assignment by the Rays a week or so ago. 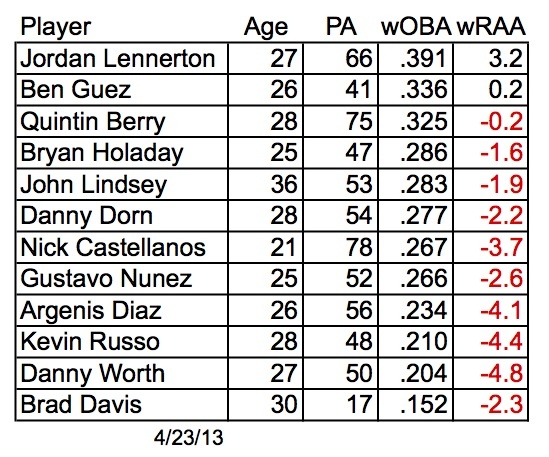 That’s two catchers out of the Rays system in just a few days. By the way, it’s great to hear (thanks, Rob) that that Steven Vogt has started his career as a Sacramento River Cat with a single, home run, and a strike ‘em out/throw ‘em out play. 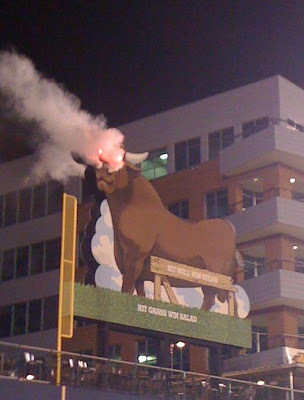 The last game played by the Durham Bulls in the Durham Bulls Athletic Park was on September 1, 2012. That was a long, long time ago. I hope that you are as ready as I am to drive over there and see some baseball today. Parking for Bulls baseball games has always been a bit tricky, but mostly these days we've got paved parking, even covered decks for some. And the field's looking better than it used to. And watch the Bull smoke! This is an interesting team coming to Durham. In four games they put together 35 hits, scored 19 runs, drew 20 walks, hit 6 doubles, two triples, but just one home run. Speedy? Heck yes. They stol 6 bases while getting caught just once. The pitching looks good with the starters putting together an ERA of 2.95 and the relievers just 1.20 (Team ERA 2.16). Sure it’s just four games against a team whose front office messes with them even more than the Rays mess with the Bulls. But I’m encouraged. Listing to the game — the audio stream was working today. Hooray! — they just sounded like fun. There were some serious oddities with the pitching rotation (the Bulls are running one short in the reliever ranks) and the team has already put in a bunch of innings. We were scared to death that today’s second game was going to go into extra innings. Will it sort itself out? I hope so. But I just didn’t hear anything to worry about. And now we get to see these guys at last! 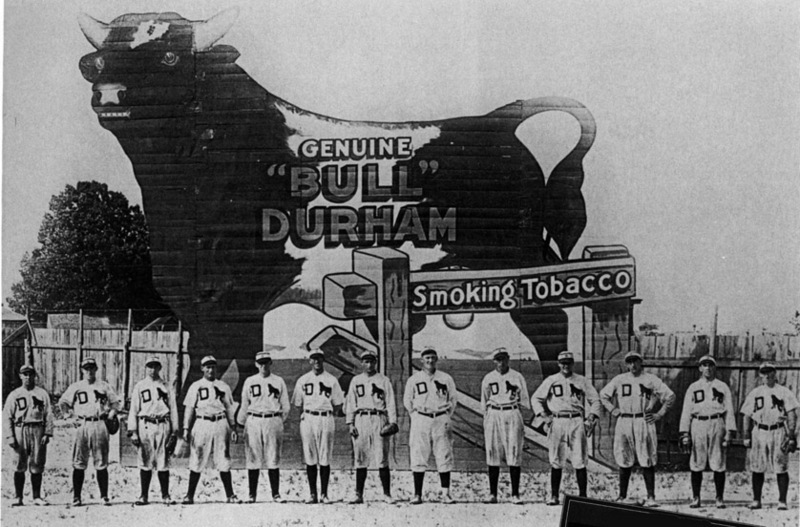 Has it really been 215 days since the Bulls last played a baseball game? It has. And how different this one was as every Bulls batter except Vince Belnome got a hit — and he got two walks and an RBI sacrifice fly. Chris Archer only gave up a couple of hits and just the one run in his five very efficient (82 pitches) innings. Kirby Yates gave up a home run for the only other Tides score. We’ll have to go with Patrick Kinas’ call of the game to judge young Mr. Hak-Ju Lee, but it sure sounded like he’s going to have fun in AAA — 2 runs on two hits (triple and single) and a walk, and two stolen bases. Pleased to discover that the various media seemed to be working OK (I don’t have MiLB television, though). Although signal not good, AM 620 was broadcasting. Gameday and audio streaming through internet was working. And the Bulls iPhone app was working when I tried it. Steven Vogt (recently designated for assignment by the Rays) was traded to Oakland and will start the season with the Sacramento River Cats, Oakland's AAA team. We’ll miss him on the club for a lot of reasons. Does this mean we will see more of Craig Albernaz in the lineup? Maybe. We haven’t seen anything on the web regarding Robinson Chirinos who was DFA’d with Vogt. Not sure exactly when the clock started for him. Have not heard if there’s a replacement coming for Brandon Gomes, who was called up Thursday. Double Header Tonight! Starts at 6:05. Tonight’s games will not be on AM 620. If you are one of the 10 people in the Triangle with an HD radio the games will be on 99.9 HD3. Otherwise the games will be streamed or available through smartphone apps. Probably 7 inning games, but not sure about that. Last note: Patrick Kinas is back doing play-by-play. Good. He calls a good game. I will enter here, once again, a plea for Kinas’ pre-game interviews and commentary to be made available as podcasts. Seems like that would be simple and painless to do. Hey, stick an ad in the middle and make some money! Rays reliever, sometime starter, and former Bull, Jeff Niemann is going on the disabled list. Brandon Gomes left Norfolk for St. Pete after dinner last night. 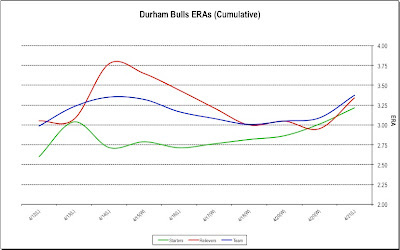 As much as I wish Brandon well (I thought he should have stayed with the Rays out of spring training), this early shuffling does not bode well for the Bulls. What do the Rays know now that they didn’t know several days ago? Have not heard if someone is on his way over from Montgomery. A rainout last night, but if the weather maps and predictions are right the season should begin tonight. Looks like they are going to try to have a double header tomorrow (Saturday) to get back on track. It wasn’t at all clear last night how to get to either gameday or audio through the website. I’m hoping that was because I checked in at 7:15 and everybody had already gone home. 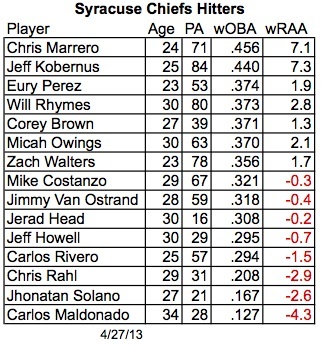 Archer, Colome, Montgomery, Odorizzi, Torres. As we wait for the season to start, here’s some interesting stuff. 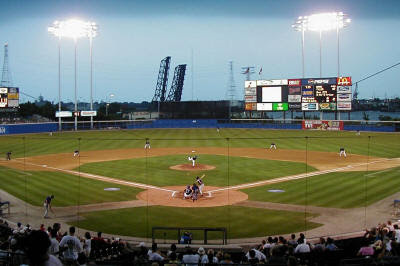 The Bulls are playing in Harbor Park (photo above) a place for some reason not much loved by the folks who roam around watching baseball. Stadium Journey considers it “not remarkable.” Amanda Lippert, who has the good judgement to name the DBAP her favorite park of 2013, wasn’t much impressed back when she visited Harbor Park a few years ago. Indy Week reporter, Adam Sobsey had some positive thoughts on the park in his visit back in 2011 (scroll about halfway down). The MiLB website has picked the top hitting lineup in the International League, the Reds affiliate, the Louisville Bats. 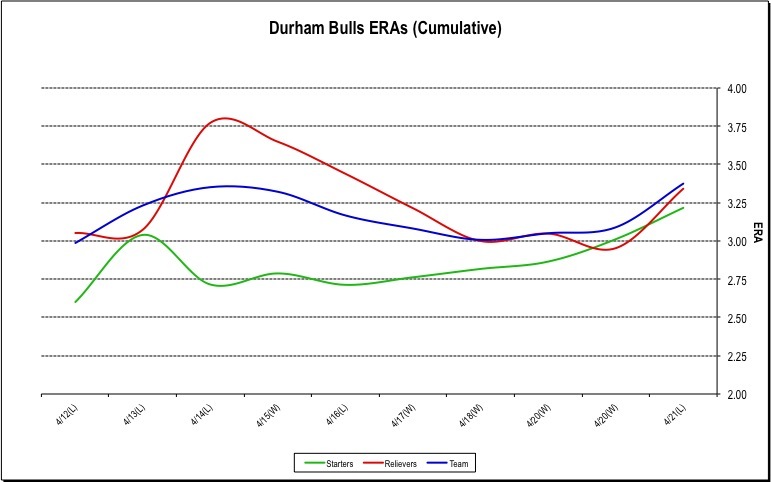 And they’ve picked the team with the best pitching rotation and that would be our Durham Bulls. The first time the Bulls and Bats meet this year will be June 8th, in Louisville. Stacy Long, blogger and reporter for the Montgomery Advertiser, has a very interesting piece on how the Rays have assembled the players in their system. Most impressive of all is Aaron Schoonmaker's piece for WRAL that has a solid story to go with video interviews of Chris Archer and Wil Myers. Down in Norfolk, the Virginia Pilot looks at the Tides. Can't wait until Monday? 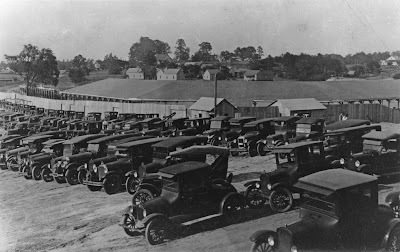 The Mudcats (now Single A team of the Cleveland Indians) open over in Zebulon on Friday. 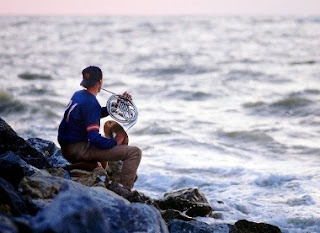 Once each year Watching Durham Bulls Baseball invites all of our readers to take a moment to recall the all too brief career of an extraordinary baseball player, and horn player of some note, Sidd Finch. For those unfamiliar with Mr. Finch's contributions to the game back in the Spring of 1985 we commend to you the Sports Illustrated article that first brought the young man to our attention. Also see our previous comments from 2011.